I can’t go very long between baking cookie baking sessions. I think I’d revert to some sub-human level. Picture something out of a Lord of the Rings movie. I’d like to register a complaint to The Board of Fairness- I bake for a hobby, my husband gets cookies; his hobby, biking, just has me occasionally bonking my head on the bikes hanging from our garage ceiling. Not. Fair. I have way too many cookie recipes on a Pinterest board for desserts. With too many things on my plate this week and a a spare hour, I crammed in making this recipe. I made the dough for these Meyer Lemon Shortbread Cookies, ran carpool while it chilled in the fridge, then came home to bake. Get a rasp grater, really. Several years back I read a short writeup in a magazine about hardware store rasp graters being bought by home cooks and chefs alike to grate hard cheeses and citrus rinds. If you haven’t bought one for your kitchen and are passing up recipes calling for citrus zest because you don’t like wrestling with a round fruit and a sharp paring knife, go get a rasp grater! I don’t like to own many tools that do only one thing- a good knife can probably replace half of the gadget wall in any store’s housewares department. 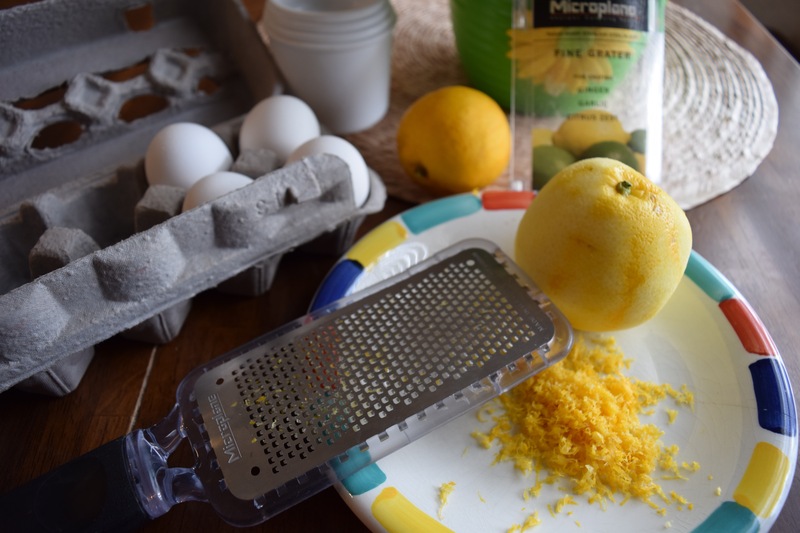 Even though I only use a rasp for parmesan cheese and grating citrus rind, I keep it because it really works well- finely grated lemon rind with practically no effort. Refrigerated dough, sliced, now ready to bake. This recipe hails from a great travel and food blog, TinyUrbanKitchen.com. 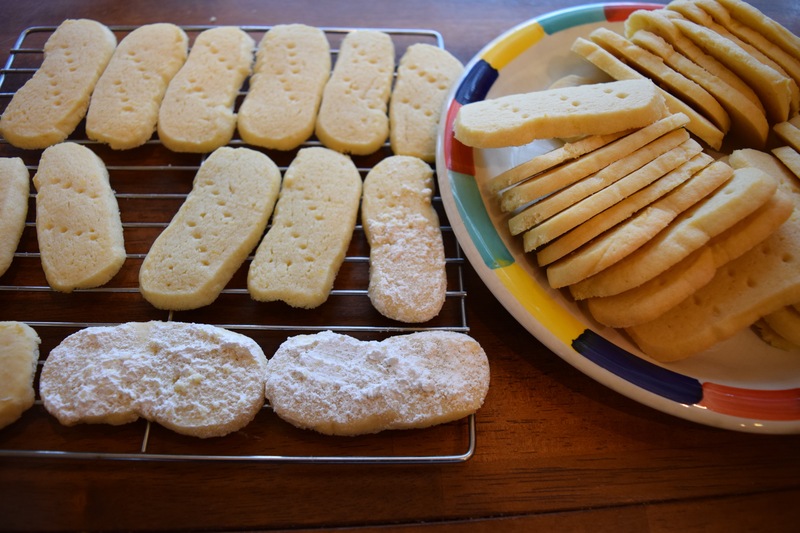 I love it when bloggers mention where they originally found a recipe, and she respectfully credits The Joy of Cooking in her adaptation of this shortbread. I followed the recipe, but with one small change- instead of two teaspoons of vanilla I used one, and added a teaspoon of lemon extract to really get the lemon flavor to pop. These were delicious! The recipe would work well as a plain shortbread cookie or almond flavored with sliced, toasted almonds on top… yum! I might need to make another batch tomorrow… do I have enough almond extract? 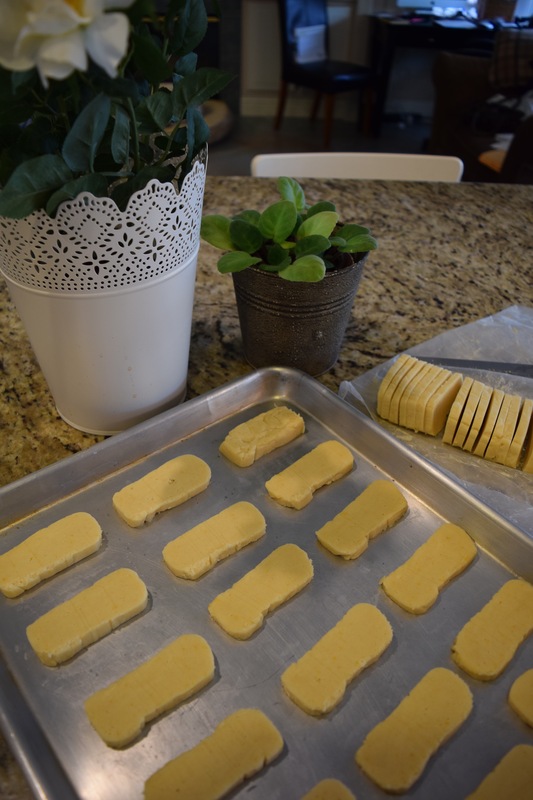 Click here to go over to TinyUrbanKitchen.com for the Meyer Lemon Shortbread Cookie recipe. These were great! I can feel the delicate aroma of the bake. I love bakery products, especially when they are homemade. Previous Previous post: Housework vs. Binge Watching… there’s no choice here, really. Next Next post: When Is a Restaurant is More Than a Restaurant?